To meet the fast developing market and satisfy the various customer's demand, BEEWAY management team decide to set a branch office in Hongkong. 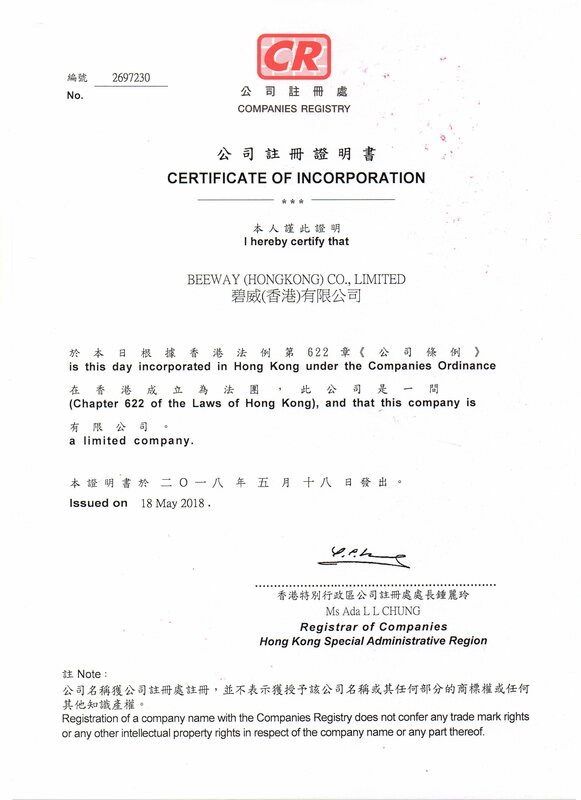 On May.18th, BEEWAY (HONGKONG) CO.,LTD as the BEEWAY branch office in Hongkong was registered. And will open and operate officialy on beginning of August. By then, BEEWAY will realize Global Supplying, Global Purchasing and Global Serving, could do more and better for our customers. BEEWAY always think of you, and develop ourselves to satisfy you.